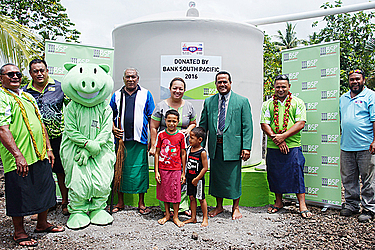 Bank South Pacific has completed installing three 10,000 litres water tanks for the villages of Sagone, Sala’ilua and Gataivai Savai’i. These will be handed over to the three villages today. The community project is an initiative that is done across the Region in all the countries that B.S.P. trade in. For the year 2016 the themes of the community projects were Tuffa Tanks or Renewable Energy. 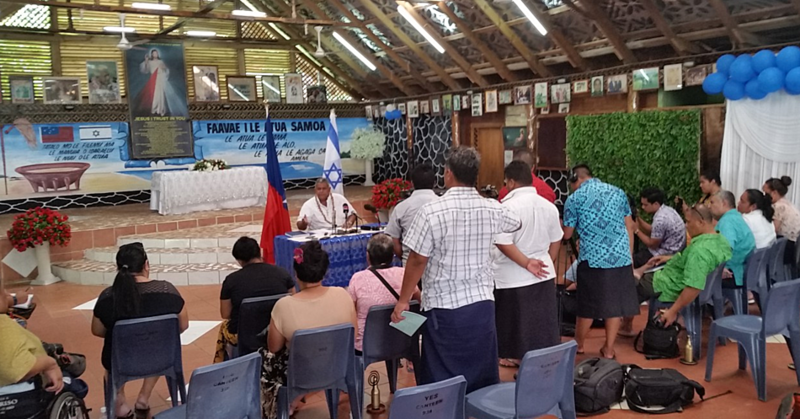 Samoa chose to provide water tanks as water is a necessity for most families in Samoa. B.S.P. sought the help of Ministry of Natural Resources and Environment (M.N.R.E) and Civil Society Support Program (C.S.S.P) as they have updated data and have done researcheson locations that are vulnerable to water. 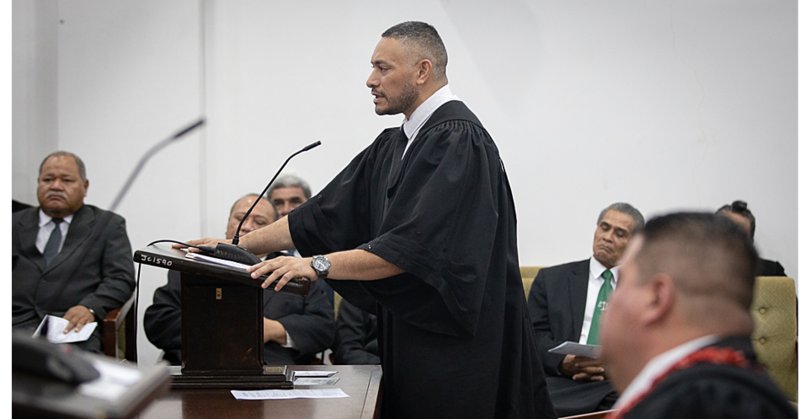 C.S.S.P then provided Sagone, Sala’ilua and Gataivai to Bank South Pacific. “We are proud to be able to present and handover these three ten thousand litre tanks to the villages of Sagone, Sala’ilua and Gataivai today,” says Taituuga Maryann Lameko-Vaai, General Manager for Bank South Pacific Samoa. The total cost of the projects came down to $23,970.00 for installation of all the three ten thousand litre tanks and filling them up with drinkable water. Samoa Superior Poly Products were kind enough to donate some of the materials and their expertise to assist B.S.P. with their community project. “B.S.P. would also like to acknowledge the assistance of John Bellinger and the team at Samoa Superior Poly Products for their kind donation that has helped us complete our project. 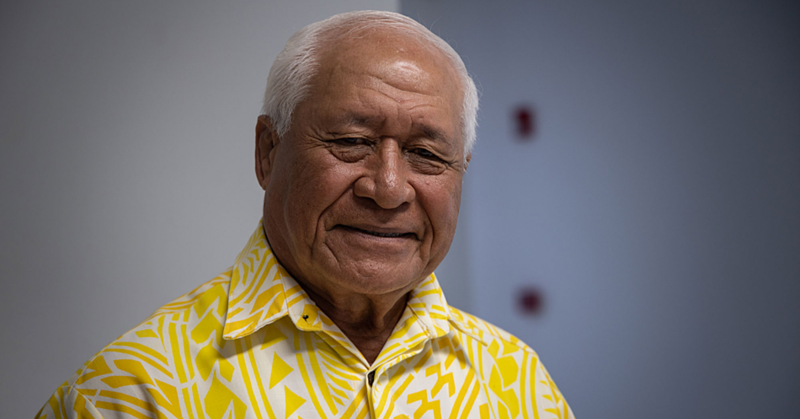 This project is a staff project and 30 staff members came from Apia last Saturday together with our team here in Salelologato donate their time to help build the tank bases,” says Taituuga. This year has seen B.S.P. gave back to the community through projects like these. In September they also donated a 10,000 litre tank to Mapuifagalele Home of the Aged, and also held a free Zumba at Maliu Mai in support of government’s initiative of a healthy Samoa. These are just some of the many community projects that B.S.P. has in store for Samoa.